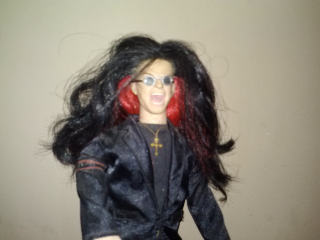 My OZZY Osbourne doll is being chased by the Paparazzi. I think I heard him shout "Shaaaron!" and something like "you're all f#$&ing mad!"